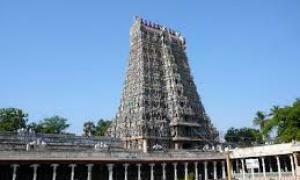 Pazhamutircolai is situated 19 kilometres from the temple town of Madurai. The place is full of natural beauty and sylvan surroundings. This hill is also known as Vrishabhadri or Idabagiri. At the foot of the hill is situated Azhakar Kovil, which is one among the 108 divyadesams sanctified by the hymns of Azhwars sung in praise of the Vishnu enshrined in this temple. Atop the hill Lord Muruga stands majestically in the temple as the Lord of the Hills popularly known as Kurinji Nilakkizhavan in Tamil. 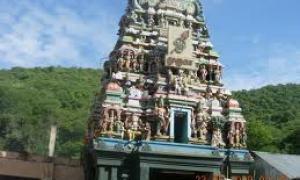 The temple of Pazhamutircolai can be reached by a motorable road leading to the hill. Pazhamutirc?lai is mentioned as the sixth of Lord Murugan''s ?ru Patai V?dukal, the six holiest Murugan shrines described by Cankam poet Nakk?rar in his poem Tirumuruk?rruppatai. Regarding the identity of the sixth major site, there is no consensus among scholars and many local temples are ascribed the distinction. Most scholars, priests and devotees identify Palamutirc?lai with the shrine of Palamutircolai, twelve miles north of Madurai in the Alagar Hills, above the Alagarcoil Vishnu temple. While this temple is not as large or bustling as the other five recognized shrines, it is just as incredible to visit. 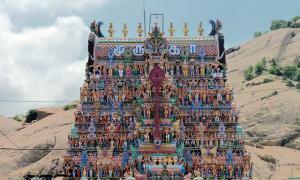 Madurai in Tamilnadu, is known popularly as the 'City of Festivals'. And among the many festivals big and small which take place there throughout the year, one of the most picturesque is the Float Festival or ' Teppothsavam'. On that day, the idols of Goddess Meenakshi and her consort Lord Sudareshwarar are taken in grand procession to the big lake called Teppakolam, and drawn round and round a shrine built in the middle of the small island in the center of the lake, seated on a decorated float called 'Teppa'. The float festival was originated in the 17th century by king Tirumala Nayaka who reigned in Madurai. The local story is that the king had a new palace built and to make bricks for it, a great excavation was made. Later, he converted the excavated depression into a sixteen acre lake, fed the same by the Vaigai river through underground channels and built the temple of Ganesha on the artificial island in the middle. Then he started the custom of taking the divine idols for a boat ride on the waters of the lake on his birthday. 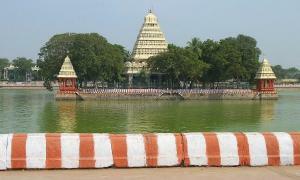 Generally, this festival is celebrated during January of the year beginning with Sankranthi (Pongal) festival. 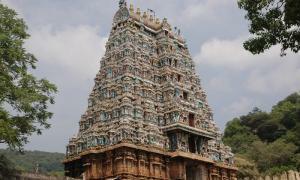 At dawn, the processional idols of Meenakshi and Sundareshwarar start out from the main temple in great pomp. The deities are carried in golden palanquins escorted by elephants, horses, musicians and thousands of devotees. After reaching the Teppakolam, about three kilometres away, the deities are placed in a prepared 'Mandapam' on the banks of the lake, where the devotees are allowed to worship them. The idols are then taken in palanquins and placed on a great raft-like structure, colourfully decorated with varieties of flower garlands, silken buntings, paper lanterns and masses of flowers. The building that houses the Gandhi Memorial Museum, Madurai is the historic Tamukkam Palace Rani Mangammal of Nayak Dynasty built about 1670 A.D. Later, Rain Mangammal this was under the occupation of the Nawab of Carnatic, The East India Company and a few others. Finally the Palace had remained for many years as the official residence of the British District, Collector of Madurai, It was in 1955 the palace with about 13 acres of land was gifted by the Tamil Nadu State Government to the All India Gandhi Smarak Nidhi for the purpose of housing Gandhi Memorial Museum. 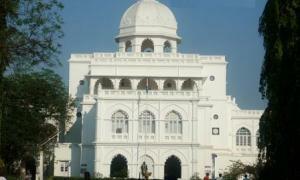 Besides the major renovation to the original building a complete new wing on the northern side was constructed for the Library Opean Air Theatre as also several other buildings and an Gandhi. Thirumalai Nayak Palace is a 17th-century palace erected in 1636 AD by King Thirumalai Nayak, a king of Madurai's Nayaka dynasty who ruled Madurai from 1623–59, in the city of Madurai, India. 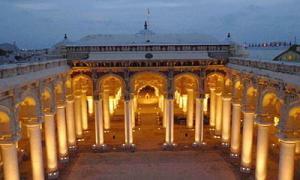 This Palace is a classic fusion of Dravidian, Islamic styles. The building, which can be seen today, was the main Palace where the king lived. The original Palace Complex was four times bigger than the present structure. In its heyday, Tirumalai Nayak Palace at Madurai was considered to be one of the wonders of the South.This palace is situated 2 km south east of the Meenakshi Amman Temple. The Sangam age or the Golden age of Tamil literature – produced masterpieces way back in the Pre christian era and in early 1st millennium . 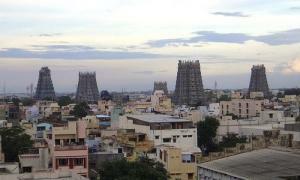 Madurai was the seat of the Tamil Sangam or Academy of learning. 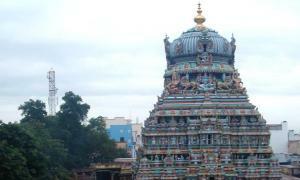 The entire city of Madurai, is built around the Meenakshi Sundareswarar Temple – the temple par excellence. Concentric rectangular streets surround the temple, symbolizing the structure of the cosmos. The 1371, the Vijayanagar dynasty of Hampi captured Madurai and it became part of the Vijayanagar empire. Kings of this dynasty were in habit of leaving the captured land to governors called Nayaks. This was done for the efficient management of their empire. The Nayaks paid fixed amount annually to the Vijayanagar empire. After the death of Krishna Deva Raya (King of Vijayanagar empire) in 1530 AD, the Nayaks became independent and ruled the territories under their control. Among Nayaks, Thirumalai Nayak (1623-1659) was very popular, even now he is popular among people, since, it was he who contributed to the creation of many magnificent structures in and around Madurai. The Raja Gopuram of the Meenakshi Amman Temple, The Pudu Mandapam and The Thirumalai Nayakar's Palace are living monuments to his artistic fervor. Madurai started slipping into the hands of the British's East India Company. In 1781, British appointed their representatives to look after Madurai. George Procter was the first collector of Madurai.